Okay I have been back from Japan for nearly a month now and I am just starting to get caught up of some of my goings on while in land of the rising sun. On one of my weekends there I set off to do a ride that I would involve a bit of this and a bit of that as far as riding goes. 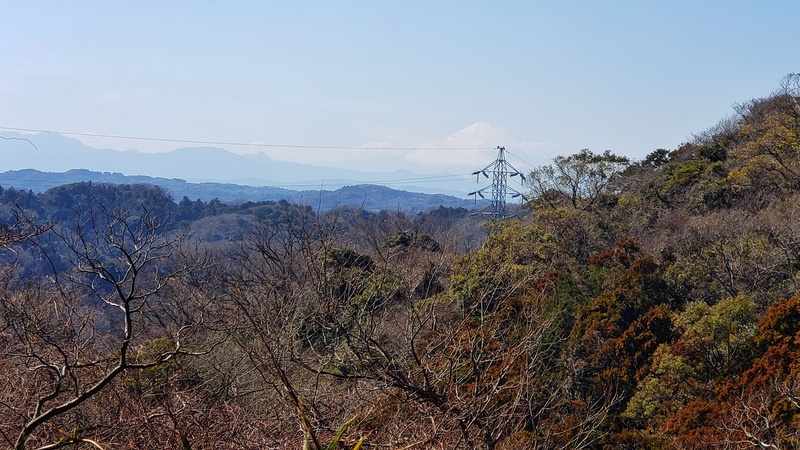 I know quite a few trails over here and while I wanted to get in some dirt time I was also interested in taking in some of the sights and sounds of Japan life as well. 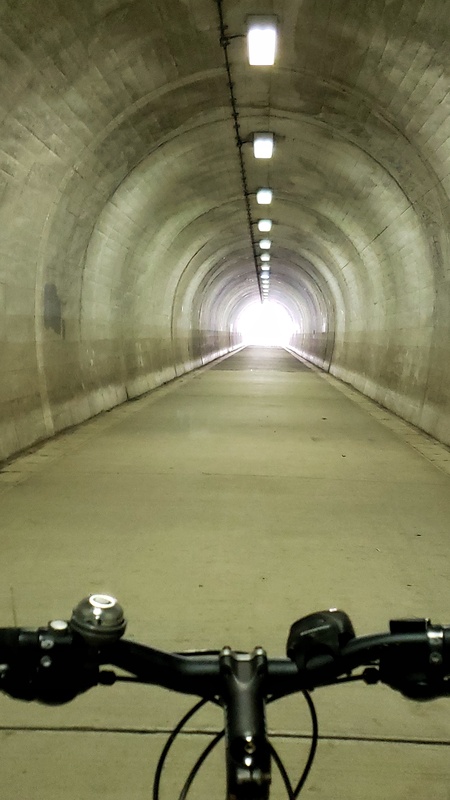 So I set off on my ride with a bit of eye for looking for new things along an old route. 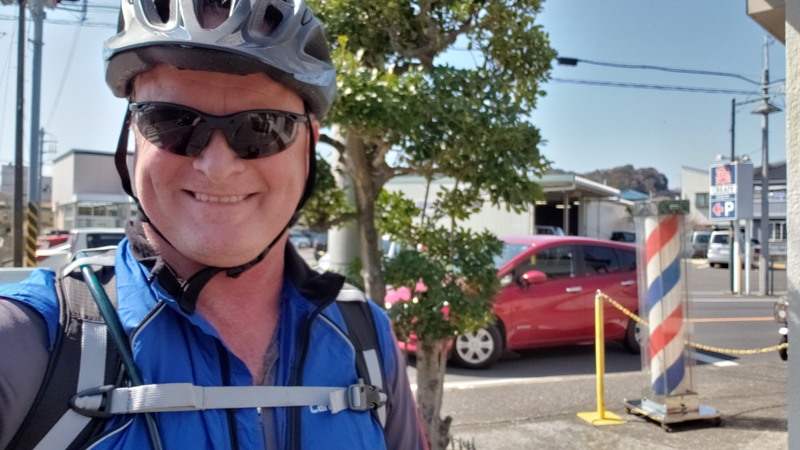 I started out in Yokosuka on the eastern shore of the Muira peninsula (about an hour and change south of Tokyo) and pedaled the streets over to the city of Zushi. The route itself is always interesting with lots of Mom and Pop stores, stairways to temples and narrow streets and sidewalks. There is this school that I pass by along this route and while I Have seen kids at play on it a few times in the past for the most part it was empty during my passings. Today was quite different. There was some kind of the school function that involved both the parents, kids and facility. There were lots of chants, shouts, cheering and laughing on the playground. I was already well down the street before I decided I needed to check this out with more than a pedal by so I hit the brakes and went back. There was a hilarious race being held that had me laugh my arse off. It looks like four groups of parents and children were split up into four teams. They were in lines at one end of the field and some guy/official was sitting in chair at the other end of the field. At the man’s feet were two burlap sack filled with something. One sack was small and the other was large. Once the whistle went off, the person at the front of each line ran across the field to their corresponding guy in the chair at the far end. As they approached the guy that had to play the guy in a single hand of “rock paper scissors”. If the runner won, they got the small sack, if they lost they got the big sack. Either way you the runners had to take their sack back across the field as fast as they could and hand it off to the next person in the line. For the subsequent runners, winning the rock-paper-scissors bout meant you got to keep or get the small sack. The entire race we exceptionally funny to watch. 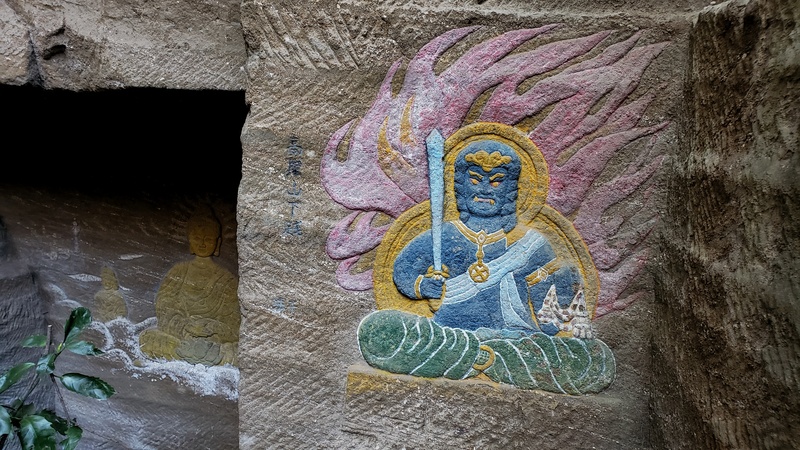 After getting in my fill of giggles I soon veered off the narrow streets and onto trails on and around Mount Sengen. 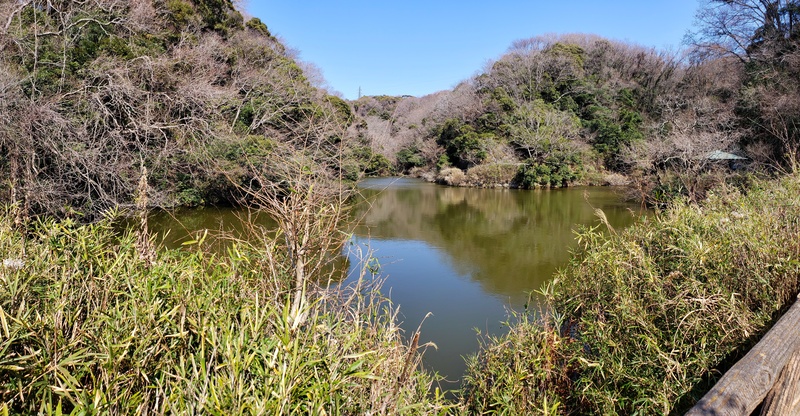 Most of the locals refer to this area as “Duck Pond” as the most common route has you starting at a small pond. It has rained quite a bit over the past week and the trails had a lot more moisture than I had expected. 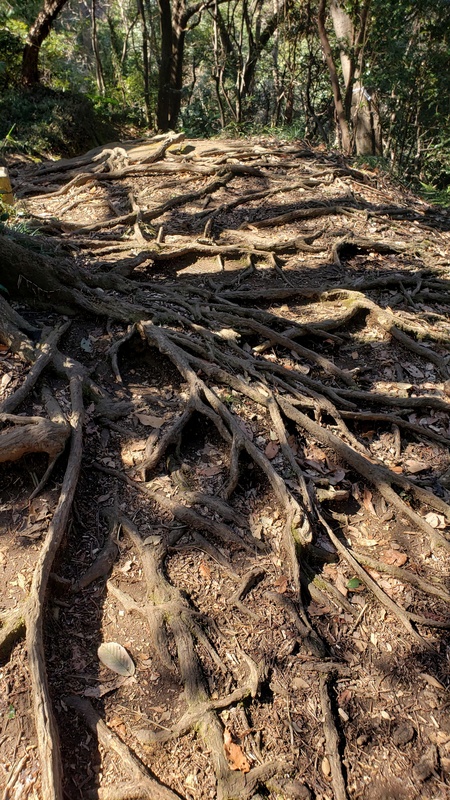 The soil here is clay based and while it does not cake up on your tires at all , it is some exceptionally tricky stuff to ride on where power and balance but be carefully finessed to keep yourself from becoming an amateur geologist taking unplanned soil samples. Now sprinkle in some leaves and wet roots over this clay and you have some exceptionally interesting bit of trail to content with. You can find more information about this kind of stuff on Slickopedia. One of my favorite little curves along the route, the ferns in this area almost popping. 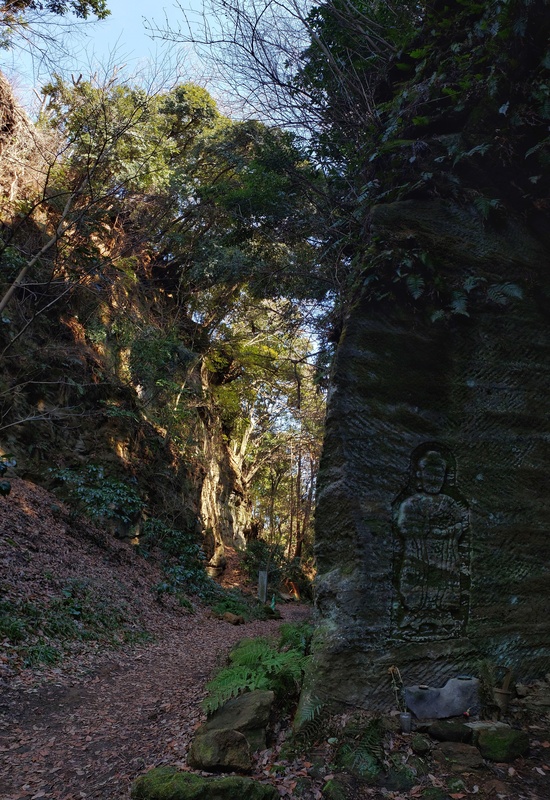 Like many of the hiking trails in this area they have a long history of use to connect between the numerous temples throughout the peninsula. 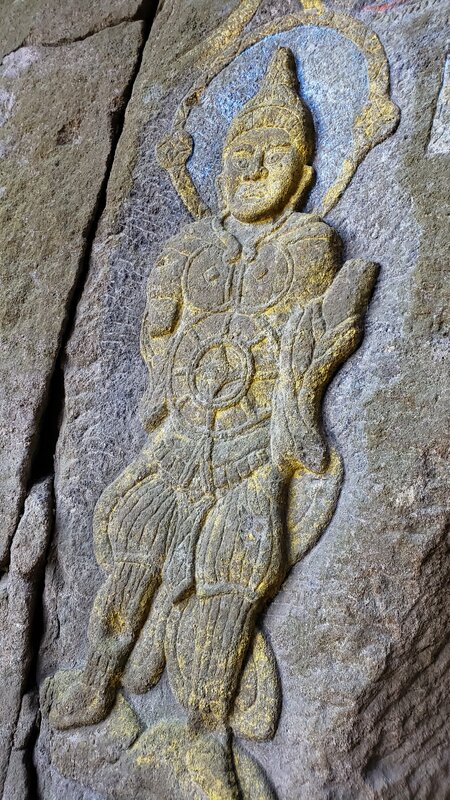 This particular trail dates back to around the mid 1300s. After dropping this trail off of west of Mount Sengen, I did a bit of residential street riding before hitting up another series of trails. Shortly after this I found myself at several trail junctions enjoying the scenery while I sorted through the scribbled on maps and disjointed GPS files floating around in my brain. Eventually I channeled “The Schwartz” and figured out my way (The other ways, are now officially on my to-do list). The series of trails I was on at this point where leading me to Kamakura on the western side of peninsula on Segami Bay. These trails were created sometime between 1185 – 1333AD. It is really kind of cool knowing that you are riding a trail nearly four times as old as my home country. 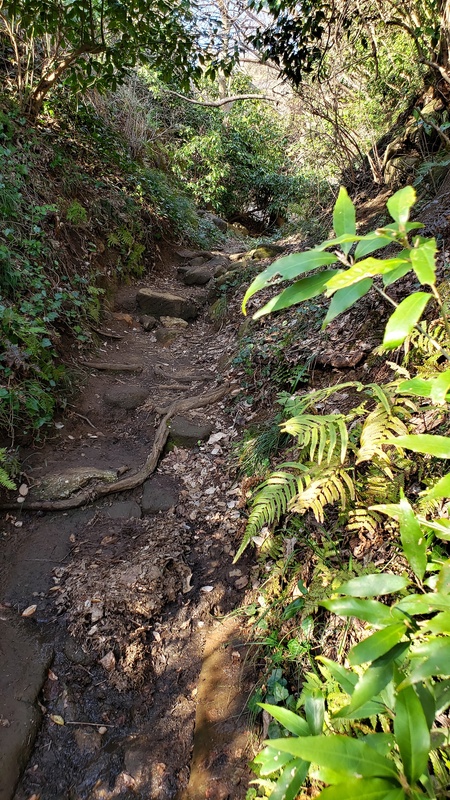 The drop into Kamakura proper is not a gentle one, there is some seriously steep and slippery steps to contend with as most of your elevation is cashed out rather quickly. 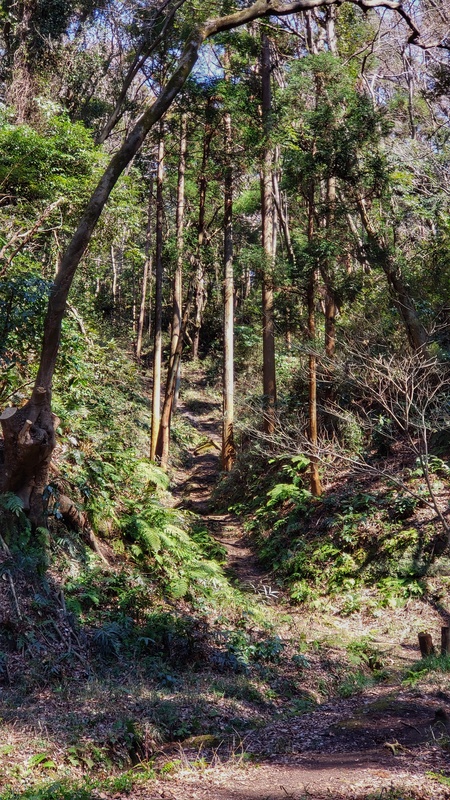 The final bit of the trail before hitting tiny concrete pathways and alleyways that led down into the streets of Kamakura. 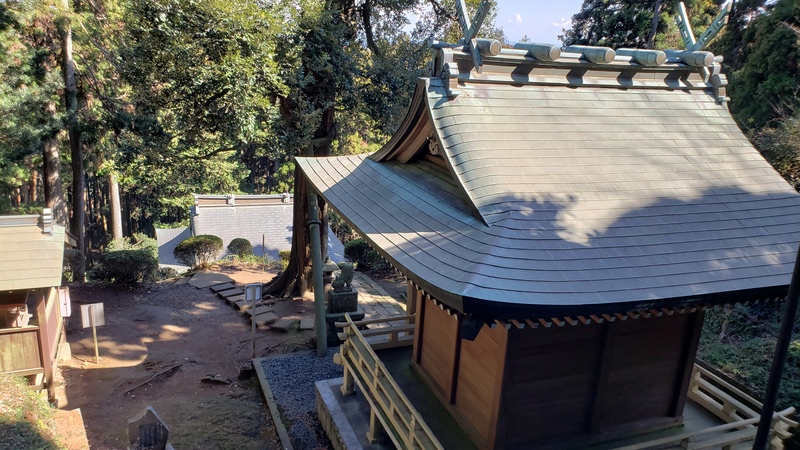 With its numerous temples and cultural shops and restaurants one could spend weeks enjoying Kamakura before they would feel as if they have done more than scratched the surface. For me it was a quick stroll along the streets. The “scramble” crosswalk. All traffic briefly stops and pedestrian pandemonium ensues. Very cool to watch. This was what I was really looking for on this day, some of the tasty street vendor offerings. This stuff is some form of grilled chicken skin/bits will tasty sauce and shredded veggies. So what if is bad for me, but yeah there were a bunch of skinny Japanese folks eating this stuff so how bad can it be. After mowing this thing down and a bit of Japanese fashion watching I made my way back over to Zushi along the streets. 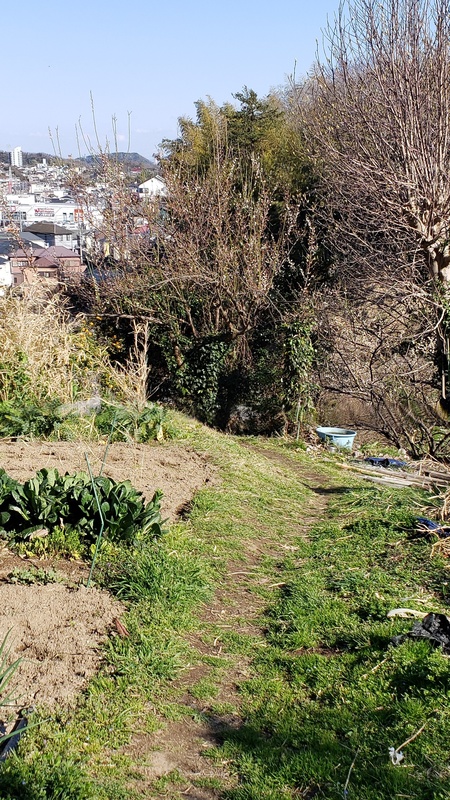 I had big plans to hit of up the trails of Fugato-yama on my way back but by the time I reach the turnoff street my legs were wanking so I continued along the streets back to Yokosuka. Turns out I did just a few yards under 27 miles so I did not feel bad about bailing on the last riding area. 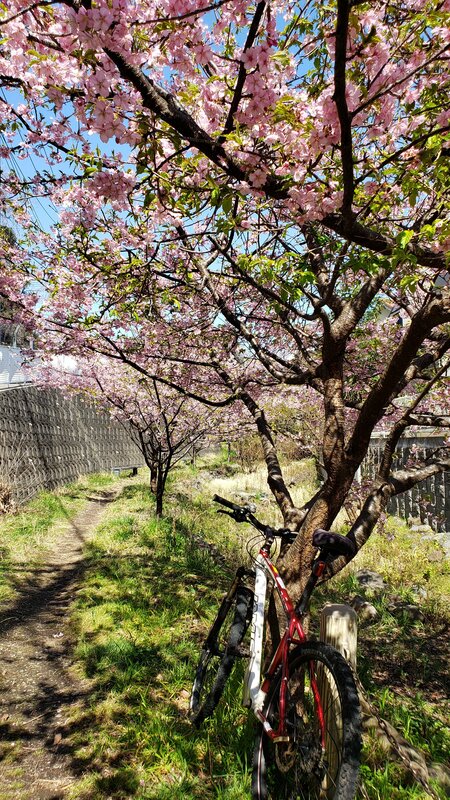 Another good day to be on a bike and a great day to be out stroll around in Japan.